Lots of life changes happen when you’re a student. Often, there’s a move involved. You learn how to become financially and practically independent. And for many of us, it’s also a time when we’re looking for a partner to spend the rest of our lives with. All of these factors can complicate finances. 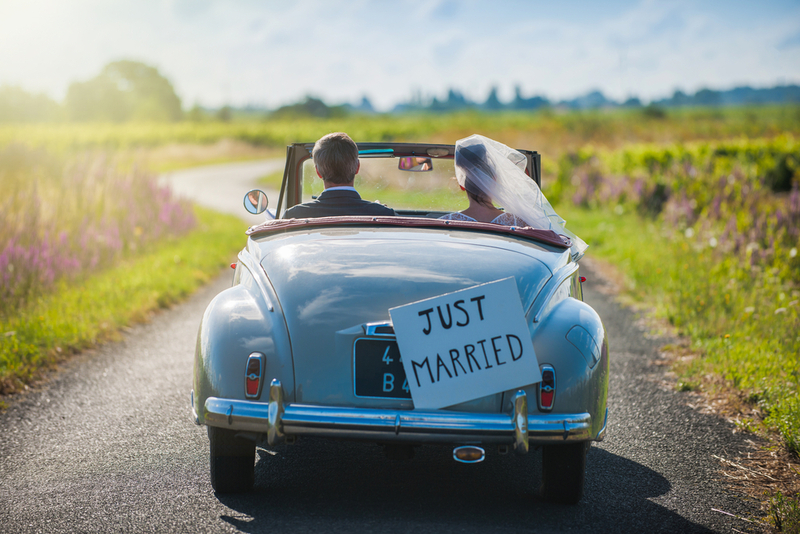 When you get engaged, future finances are probably the last thing on your mind. Few couples think about how they’ll handle a budget as a team. Instead, we just assume that things will work out. 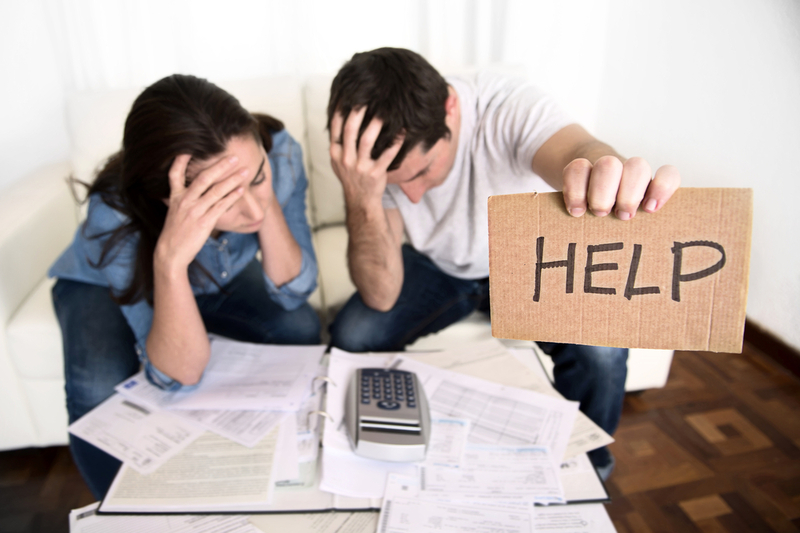 Financial difficulties are the most common marital stress, according to a study by SunTrust Bank. And further research from Kansas State University shows that arguments about finances early on in a relationship are the single biggest danger sign of divorce. This is true whatever the couple’s income is, whether they’re struggling with minimum-wage jobs, or living comfortably with 100k/year. The wife spending the couple’s savings on a fancy television instead of continuing to save for the vacation that the husband wanted. One person insisting on a house or apartment that’s outside of the income range right now, while the other wants to avoid going into too much debt. Spending years paying off early debt from an elaborate wedding. A new husband needing to borrow money from parents in order to make ends meet, while the wife doesn’t want to be in debt to her in-laws. Some of these scenarios may feel all too familiar. However, we don’t consider how dangerous these arguments can actually be, or take action to correct it. There are a few things to consider while you’re looking at your approach as a couple to finances. 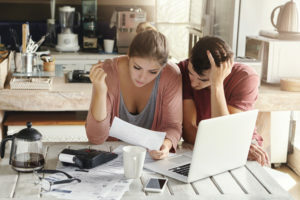 For one thing, it’s important to realize that a disconnect in how you both prefer to handle money and what your spending and saving habits are can put major strain on the relationship. It may be hard to imagine right now, but it’s true. For another thing, it’s important to acknowledge that you’re in it together. If just one person is taking the helm on finances, it’s important for the other party to at least understand what’s going on. Far too many new grooms are, by default, assuming all financial responsibility and cracking under the strain when things don’t go quite as planned. That’s why it’s important to have a plan, whatever that plan may be. This should be an open discussion between the two of you. There’s no one “right” way for couples to handle finances. For some, merging bank accounts and streamlining the finances that way is the best approach. Others want to maintain their separate accounts, and that doesn’t mean that they’re any less committed as a couple. Some couples want both parties highly involved in the day-to-day operations, whereas others designate one person to handle most of it. Set it up however you’d like, but have a plan. Are you in debt? Do you ever plan to be? What do you believe is worth going into debt for? How many credit cards do you have and how do you use them? Do you set a monthly budget? Have you ever? Are you good at sticking to it? When’s the last time you incurred a late fee for nonpayment? Financially, where do you imagine we’ll be in 5 years? 10? 20? How do you think we should pay for our children’s expenses and college? If we suddenly had $3,000 surplus right now, how would you want to spend it? Live somewhere that reflects your actual income. Just because you’re married doesn’t mean you have to move into a big house like what your parents have. It took them a while to get to that point. As newlyweds, and people just starting out in life, you might need to carefully consider the cost of an extra bedroom. This post has a really helpful price-comparison. Discuss whether you want to have kids, and whether one of you will be a stay-at-home caretaker when that time comes. Speaking of your home, you might be excited to nest, but keep costs low at first. Nice furniture and decor can quickly drain your savings. Instead, save on decorating your new home with some great tips from this article. Always err on the side of caution, and save for the future instead. Life WILL get more expensive, even though all you see now is how you’ll make better money in the future. Don’t eat out too much. Instead, cook together at home whenever possible. Always communicate! As this post states, it’s very easy for people to have a different vision for the future, and never know. Talk about finances before it becomes a taboo subject between the two of you. Searching for a new home or apartment to rent can be really difficult. You have a mental list of all of the things you want to have in your new place, and it’s hard not to compare each new place you look at to the apartment you’re leaving. One of the hardest parts of picking a new place is that once you’ve selected it, you have to pay a considerable amount of money in the form of a security deposit. 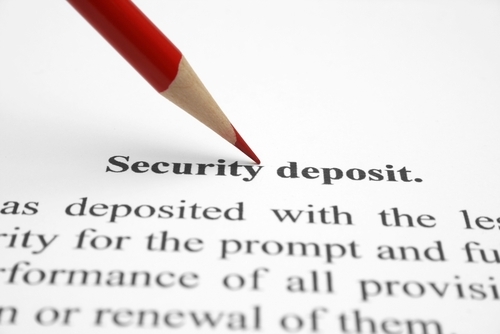 A security deposit is given to your landlord as a sort of guarantee that you’ll take good care of their property. If you do adhere to the lease and take care of the property, you get that money back. If you don’t, however, then the landlord keeps that money to pay for any necessary repairs. Obviously, you want to keep your security deposit. In the ideal situation, you’d be able to use that money for a new security deposit at your new rental property. When you’re signing your lease, make sure that you’re paying attention to what you’re actually signing. Some landlords aren’t very transparent, and they have a lot of fine print that they like to skim over. If your lease is incredibly long and your landlord doesn’t take the time to walk through all of the points with you, it might be a good idea to ask if you can go over it privately before signing it. Some of the things to look out for are anything that tries to place all potential blame on the tenant. For instance, if the water heater breaks within a few weeks of you moving in, are they going to place the blame on you and make you pay for the repair? Or if you discover cockroaches in your apartment, will they pay for pest control or will they say the pests are there as a result of your negligence and make you pay? Make sure that they are willing to pay for any pre-existing damages or issues, especially if they’re issues you can’t see immediately. You won’t get your deposit back if you paint all of the walls in your apartment black. Some landlords will agree to let you make permanent modifications, as long as you get their permission first. If painting and other major redecoration plans are important to you, it’s worth asking your landlord before you sign the lease if they’d be willing to negotiate as long as they approve all of the changes. Other landlords will let you make small changes, such as swapping out light fixtures, as long as you save the original fixtures for them to put back in when you leave. If the lease clearly says that you can’t make holes in the walls with anything bigger than a thumbtack, but you decide to bolt your television to the wall anyway, the repairs to fix the wall will probably come out of your security deposit. Just like when you’re a guest at someone else’s home, it’s important to leave your rental property the way you found it. Leaving it trashed and dirty will not be appreciated. Make sure that you take care of it as you go by regularly cleaning and repairing anything that gets broken. Trying to just clean everything at the end is a lot like cramming for a test: not only is it much more difficult, but usually people can tell that you saved it until the last minute. Don’t let mold accumulate in your bathroom for months, or let grease and dust build up on your kitchen walls and backsplash for years. You might move into a property that has certain installments that need some TLC. For example, perhaps you picked the place because you love its kitchen and the granite countertops. However, as this article states, granite needs special care. You might not know that because you’re not actually the one who bought the granite and retained the owner’s guide. Fortunately, there are plenty of resources online now for you to understand how to best maintain your dishwasher, hardwood floors, and any other special features. Sometimes, it can be hard to follow the rules that your landlord has asked you to follow. Your property is strictly pet free, but your friend just had the cutest litter of puppies, so it would be okay to bring one home, as long as you don’t tell your landlord, right? Unfortunately, no. If you want to do something that you know it’s explicitly forbidden, you always need to ask them first. Some landlords may be willing to bend the rules slightly, on a case by case basis. But if you think you’ll be able to trick them and they won’t notice, trust that they will notice. 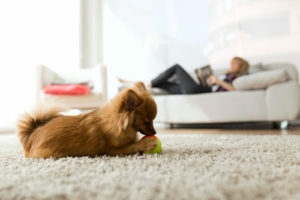 Whether you forget to clean up after your dog one day, or the dog has one too many accidents on the carpet and you just can’t get the smell out, disrespecting the guidelines that your landlord has set is an easy way to say goodbye to your security deposit forever. 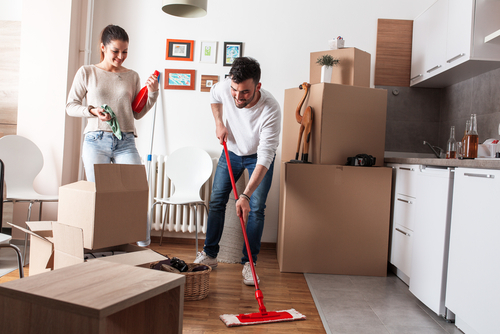 After you move out, your landlord may have only a very short period of time to turn around the property before new tenants move in. If you’ve broken the rules and the apartment needs serious repairs, it could mean costly repairs and having to pay to expedite these repairs before the new tenants arrive. Often times, these extra repairs will get billed to you. So, always be courteous and respectful of both the property and the manager. The average American pays over $8,000 per year simply in interest. That’s the amount that you’d be paying simply with a mortgage on a middle class house, one car payment, an average student loan burden, and one credit card with debt. Interest doesn’t do anything to pay off the principal (the amount you actually owe) and you don’t get any kind of return from it. In fact, it might just be the biggest waste of money possible (even worse than that second ab roller than you ordered and never used). 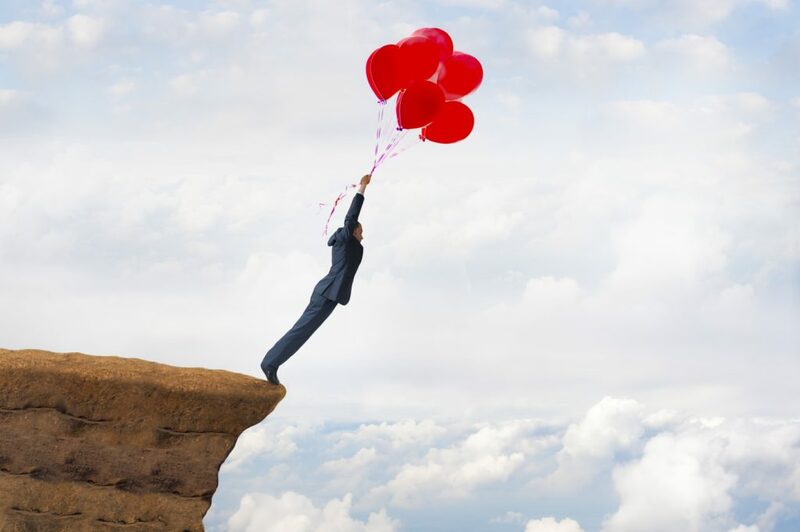 If you’ve gotten into the habit of spreading out payments over a longer period of time, then it’s time for you to examine how much of your money is being sapped away with interest. 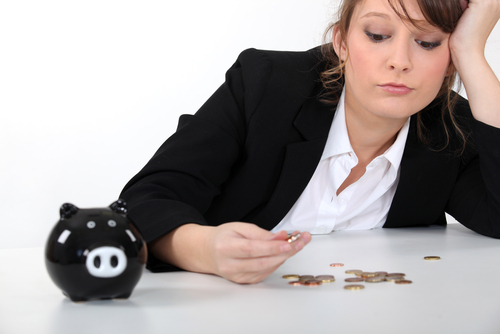 A budget and discipline, of course, are the keys to staying financially on top of things. However, for many of us, there’s more to it than that. Financial literacy isn’t taught in schools. It’s taught at home, which is one of the key reasons that children with wealthy parents grow up to be wealthy themselves. However, if you missed the lesson on finances, it’s still possible for you to change the story for yourself. Sometimes that takes extensive research, intense discipline, and some trial and error. Other times, it takes a financial advisor. Now, I know what you’re thinking… “Whoa wait… if I’m struggling with money, why should I hire someone who’ll just charge me more per hour?” It can be hard to know where to turn for trustworthy help, especially if you think that you can handle it yourself, with just a little more motivation or discipline. However, for many people struggling to get a handle on debt, a financial advisor is a good solution. Think of it like this: much like a mental health counselor, a financial advisor can troubleshoot problems, shed light on things that are hard for you to understand, and use their training and connections to find solutions that you never would have thought of. There are a few techniques that a financial advisor will use to help you eliminate debt… things that you probably wouldn’t be able to do yourself. Renegotiating your expenses: When you sit down to do your budget yourself, you probably list “medical fees,” “student loan payments,” and “mortgage” as inflexible costs. However, a good financial advisor can take a closer look at those payments. Sometimes, refinancing a loan will get you a better interest rate, especially if you’ve been reliable in your payment history, or if the market has changed. Other costs that seem set in stone, like medical payments, are also negotiable. Insurance companies barter the rates down all the time, but few laymen realize that they can do that too. Consolidating debt: Essentially, with this process, you take out one big loan to pay off all your other debts, and then you’re only making payments to one resource. This can lower your monthly payment because it streamlines the fees and base rates. However, it can also increase your risk and payments if it’s done improperly. A financial advisor can help you decide the best way to consolidate your debts and simplify your monthly payments. Prioritizing payments: Is it better to put all of your money towards your car payment so that you can have that particular monkey off your back sooner… or to spread your payments around so that you’re slowly chiseling away at each one? This will depend on the risk associated with each debt, the interest rate, and how much it affects your credit. A financial advisor can help you sort through the risk and long-term cost of each debt so that you can have a wise plan going forward. Goal-oriented budgeting: The most simple budget will simply be a matter of crunching numbers so that you can make ends meet. However, goal-oriented budgeting helps you to pay off debt in a practical amount of time, and save for the future. A financial advisor can help you find creative ways to earn and save, and give you a level of responsible accountability that makes you better at sticking to a plan. How Can You Pick a Good Advisor? Trusting your money with someone who knows more about it than you do is a vulnerable move. 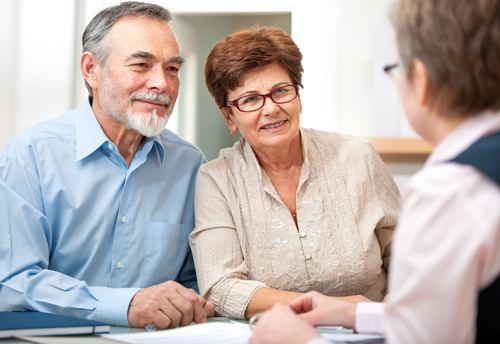 It’s important to have a financial advisor that you trust, and who believes in being transparent and in working with you to find the best solution for your specific needs. Afortus Financial offers financial services customized for the needs of every individual from any demographic. We believe that financial success is accessible for everyone, whatever their history or situation. Instead of pushing a cookie-cutter plan, we work closely with our clients to establish a relationship of trust and help families find solutions that give results. To learn more, find us at afortus.com. 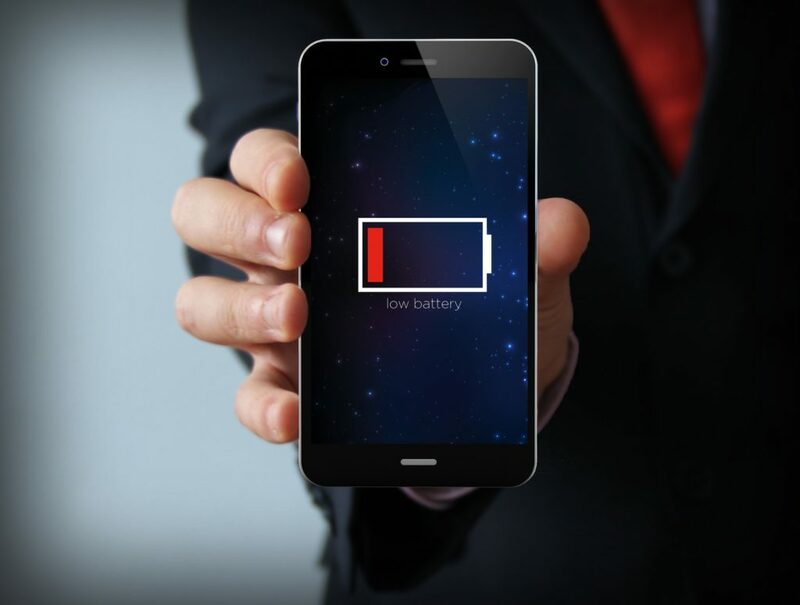 It seems that just about all of us could do with a few extra hours in the day to accomplish all of the things we’d like to, but seeing as that isn’t possible, a lot of us rely on things like coffee and energy drinks to get us through the day. Some, dangerously enough, even rely on “study drugs” to get things done. Ultimately, however, well balanced nutrition is the safest and surest way to enjoy sustained energy on a daily basis. Here is a look at ten foods that are proven to give you more energy for your every day. The açai berry is an incredibly healthy berry found in the rainforests of the Amazon. 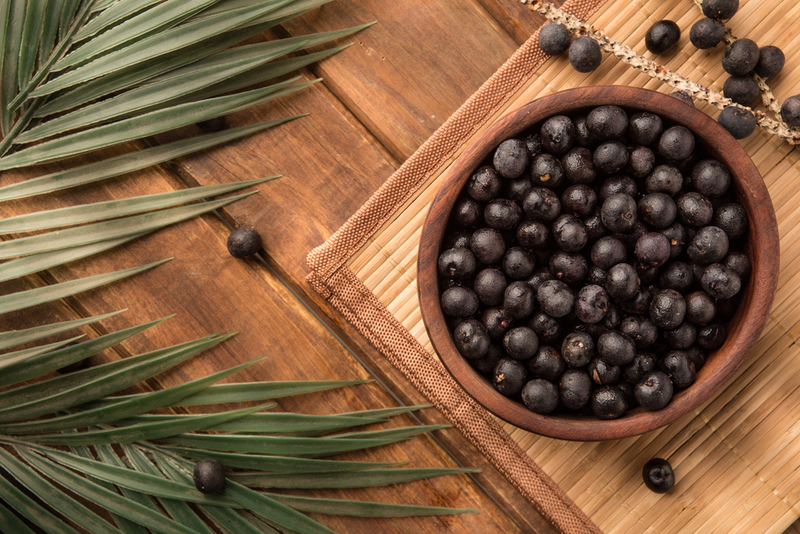 According to this article, the açai berry will give you increased energy levels, not to mention help detox the body and promote weight loss when enjoyed as part of a healthy diet. Açai berries are also rich in antioxidants, which help neutralize free radicals and slow symptoms of aging (such as skin degradation and joint pain). They also make a great snack when dried! Just remember that dried fruit isn’t always the best option for your teeth, as this article warns, even though it’s healthy for your body. Studies have shown that people who exhibit low magnesium levels tire more quickly during exercise. The reason? Magnesium helps your body convert food into energy. Fortunately, almonds are rich in magnesium. So if you consider yourself an athlete in any way, shape, or form, almonds should be on the top of your daily snack list. Almonds also happen to be rich in B vitamins, which also play a role in converting food into energy. Apples are rich in fiber and therefore take longer to digest. Ultimately, this means that they’ll offer you more sustained energy than many other fruits will. Bananas are rich in both carbs (fructose, glucose, and sucrose) and fiber, making them the perfect snack for a quick boost of energy. They also contain B vitamins and potassium, which promote sustained energy and muscle function. Pair some banana slices with peanut butter, which is rich in protein, for a snack that will keep you feeling satisfied until your next meal. Brown rice happens to be rich in manganese, which helps your body produce energy from protein and carbs. Therefore, brown rice serves as a wonderful complement to all of the other carb and protein rich foods in your diet. It’s versatile, too—serve it warm with your favorite lean protein, or serve it cold with honey and fresh fruit for a sweeter treat. Chia seeds may be tiny, but they are mighty when it comes to boosting energy. They contain a healthy ratio of protein, fat, and fiber that helps satisfy hunger and stabilize blood sugar and energy levels throughout the day. Toss a spoonful of chia seeds in your morning oatmeal, yogurt, or smoothie for an energy boost at the start of your day. Whether you prefer peanut butter, almond butter, or some other type of nut butter, you can rest assured that just a small serving of your favorite nut butter will go a long way in helping you feel energized. Natural nut butters tend to be rich in healthy fats, protein, and fiber, which together help stabilize blood sugar levels and help stave off hunger. Just be sure to avoid nut butters that contain added sugars. 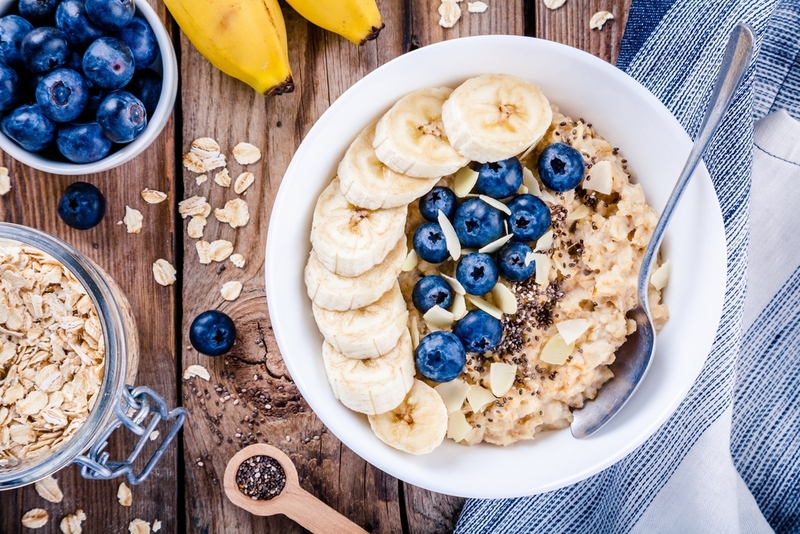 Oats are especially rich in fiber and are also, of course, rich in carbs. This makes oatmeal an excellent snack or meal that will keep you energized for hours on end. No, we’re not talking about movie theater style popcorn here—we’re talking about good old fashioned air popped popcorn. 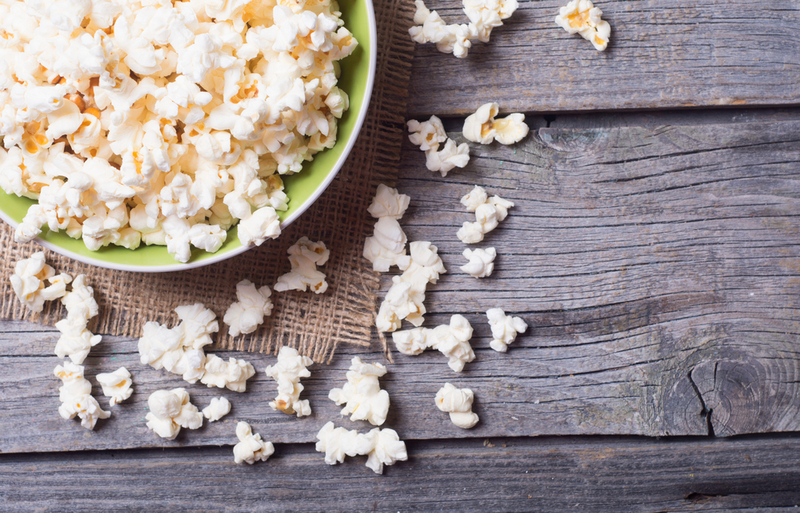 Air popped popcorn is a whole grain carb that also happens to be low in calories, making it an excellent snack alternative if you’re used to munching on chips or crackers. These whole grain carbs are rich in fiber, meaning they will stabilize blood sugar levels and keep you feeling energized longer. Air popped popcorn is best seasoned with herbs and spices for maximum health benefits. Speaking of grains that give you energy, quinoa is actually packed with more protein than any other grain. The folate, magnesium, phosphorus and manganese in quinoa also help contribute to long-lasting energy levels. 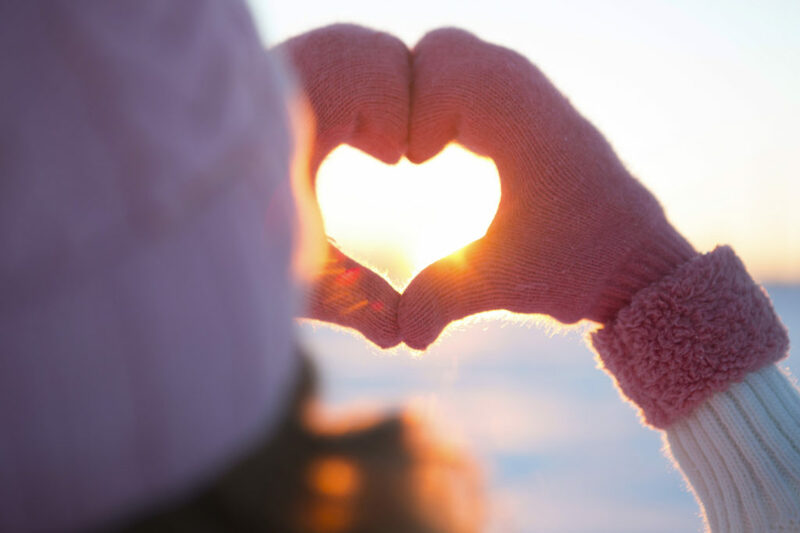 The first thing that you need to do, before you can even think of having a fulfilling dating life, is learn the incredibly difficult skill of self love. This is an important part of many aspects of life (it’s a necessity that is taught and practiced in addiction recovery), but is especially crucial in the dating scene. After all, if you can’t truly love yourself, then how are you going to have the emotional maturity that is needed to foster a longer-term relationship? Think about the person that you want to be, and always be taking every little step that you can to make yourself a better person. Oftentimes, on this journey, the opportunities for dating will present themselves in a natural way. To start, though, practicing personal hygiene and living a little healthier is always a good first step. If you want to start dating around and meeting new people, then it is important to make sure that your finances are relatively stable. This is a general responsibility, as you should work on getting your life under control before you think of sharing it with anyone else. This isn’t to say that dating has to be an expensive endeavor. After all, there are plenty of great, cheap date ideas out on the internet. However, if you find yourself at a financial low, then it might not be the time to open yourself up to the dating scene, and is probably better to tackle those issues, first. That being said, don’t procrastinate dating because you’re always thinking that you’ll be richer and more desireable in the future. Dating shouldn’t break the bank, and you shouldn’t bank on money to win over a partner, either. One of the greatest contributors to the awkwardness that is placed upon dating is the toxic expectations that people come into a date with. Remember, you don’t need to find the love of your life on every date. This isn’t a do or die alone situation. Instead, learn to have an open mind and enjoy the date, inherently. After all, you’re getting to share a special evening with a certain individual. There are unique aspects to every person, and it can be incredibly fun getting to share your own eccentricities with another individual. Simply relax, let your personality shine through, and have fun on the date. Even if you don’t think that there is any romantic potential here, it doesn’t mean that you can’t make a friend and have a good time. Oftentimes, many people feel like they are trapped in a cage of expectations, when it comes to the dating scene. There seems to be this uncontrollable urge to compare ourselves to everyone else. However, this is only going to highlight our insecurities, and get in the way of developing a true connection with any of our dates. Don’t let yourself get trapped in this cycle. Instead, work to be your own individual, and don’t waste time trying to compare yourself to anyone else. While there is nothing inherently wrong with the classic dinner and a movie date, dating can be so much more fulfilling if you see it as an opportunity to be creative and try new things. Oftentimes, the best way to get to know a person is if you are both in the throes of adventure and trying something new. This also helps you find new interests, and gives you both the opportunity to have a great time! As a college student, you might find yourself struggling to find the energy to get everything you need to done. In addition, relying on late-night Red Bulls and being divided between a social life and our academic priorities can make it especially hard to stay awake through a particularly long class. When it comes to most health tips, the first thing you’re always going to read is to make sure that you’re drinking enough water. While this might seem like a cliche, it’s something that deserves to be repeated over and over again. Becoming dehydrated is a surefire way to put brakes on your energy levels throughout the day, and can lead to headaches and other health problems. Drinking water helps people feel fresh, as well as more alert. On top of that, drinking lots of water helps your digestive system work properly, which means that you are processing your food into energy, quicker. To help you throughout the day, carry around a water bottle, or even a gallon of water, if you are doing particularly strenuous physical activity. Lots of people use caffeine as a method to get energized for the day. This is the reason why the quintessential cup of morning coffee is so prevalent for so many people around the world. However, you shouldn’t be entirely dependent on caffeine to get your boost. Drinking too much caffeine can also cause a degree of health problems, and can make a person jittery. Also, drinking too much caffeine at once will lead to a crash, which is counterproductive to our goals. For this reason, it’s a good idea to find healthy ways to get caffeine, which can be very useful, if you don’t overuse it. Although there is nothing wrong with a cup of coffee, getting your caffeine through a drink with less caffeine means that you will get a steady balance of energy from the caffeine, without the harsh crashes that follow. 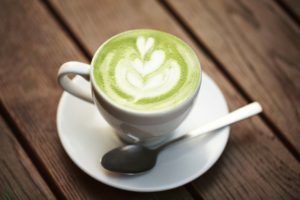 Here’s an informative article about why many people are using matcha tea for this purpose. A healthy dose of physical activity every day isn’t going to make you more tired. It’s actually going to improve your energy levels by naturally creating endorphins that will make you feel more awake and alive. This doesn’t mean that you need to hit the gym for an hour every day (although you could do that, as well). There are plenty of ways to be active on your own terms. Sometimes, simply finding ways to walk during your commute can be enough to give you more of a pep in your step. Taking up recreational physical activities, such as a team or individual sport, can also be a great way to get more physical activity into your schedule. If you find yourself needing a bit of a recharge time during the day, then hiking can also be a terrific way to reconnect with nature, and get the physical activity needed to keep you feeling charged up. Hiking is a recommended way to increase your physical and mental health, as shown in this useful article here. Food is where all of us get the energy that we need to go through the day. As this article here shows, not getting enough food can cause your energy levels to crash throughout the day. 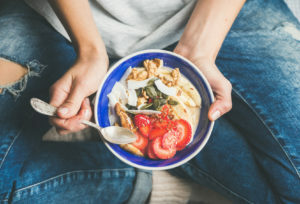 Inconsistent eating habits can cause your metabolism to slow down, since your body is storing more of what you are eating, in a sort of starvation mode. This means that you’re burning through your energy more slowly, which can make you feel tired and lethargic. Even if you don’t have time to stop and enjoy a full meal in the middle of your day, keeping high-calorie snacks with you, such as nuts and fruits, can help you keep up your calorie count and stay motivated. The first thing that you need to decide is what kind of image that you’d like to build for yourself. Essentially, every professional in today’s marketplace needs to recognize that they are, themselves, a brand (a major challenge for many people, but check out this helpful post about how to create a brand for yourself). This is especially true in an age where we are projected onto the platforms of social media. The image that you choose to project for yourself may on your particular specialty or industry. For example, a financial professional wants to really hone in on an image of stability and security, while someone in a more creative industry might need to demonstrate a bit more flair to generate interest. 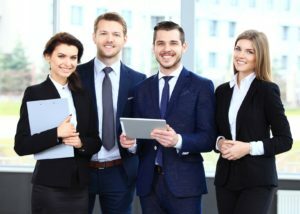 Although the fashion industry might not always be the perfect place to get ideas for business attire, it is important to recognize that the way you dress has a profound impact on the way that people view you. You should always look like you have at least a basic understanding of how to use fashion to look presentable, confident, and successful. 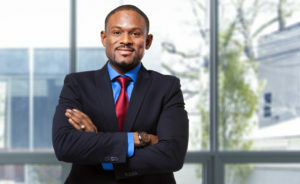 By using your attire to project these traits, you will subconsciously leave a good first impression on people, who will associate you positively to business. Another important aspect of this is to make sure that you don’t look like you are behind the times. Even an older business person needs to dress like they are relevant to the time (here’s a helpful little guide to see if any of your fashion traits are aging you). If you are representing an entire business, you need to recognize that it will be far more difficult to manage your business’ image in the public eye. However, the good news is that you should never be doing this by yourself. There are plenty of tools that small business owners can utilize to help improve their business’ public image. For example, marketing and advertising companies can be quite adept at managing public relations campaigns. Another important tool for this is a lawyer (something that every small business should have, according to this article), who can help you control your business’ copyright and control how your business is seen. Although you need to manage your image in personal conversations, the truth is that most professionals are viewed in the online world, in today’s marketplace. This means that an ample amount of the tools that you can use to communicate with people are text-based. For this reason, it’s crucial to uphold good writing habits. Be a stickler for your grammar, as bad grammar can make you appear foolish and unprofessional. Always take the time to read through things that you post online, in order to check for errors and consider if this puts you in a positive light. Indeed, most businesses today admit to looking at potential hires on social media platforms, such as Facebook, which just amplifies the importance of good writing skills. The world of public opinion is one that is built by associations. If we see businesses partner up with charities, or entertainment avenues that we enjoy, it will raise their standing, by association. However, if we see businesses partnering with entities that we dislike, their standing will fall, by association. For this reason, it is so important to use this phenomenon by attaching your name and image with other images of success. This is an age old adage of success: if you hang around people who fail, you will adopt their habits. But if you hang out with people who succeed, you will adopt successful habits! One of the benefits of graduating debt-free is that it allows you the freedom to forge your own path, business-wise. If you decide to go into business for yourself, there will be plenty of things that you have to learn after college in order to stay ahead of the game. 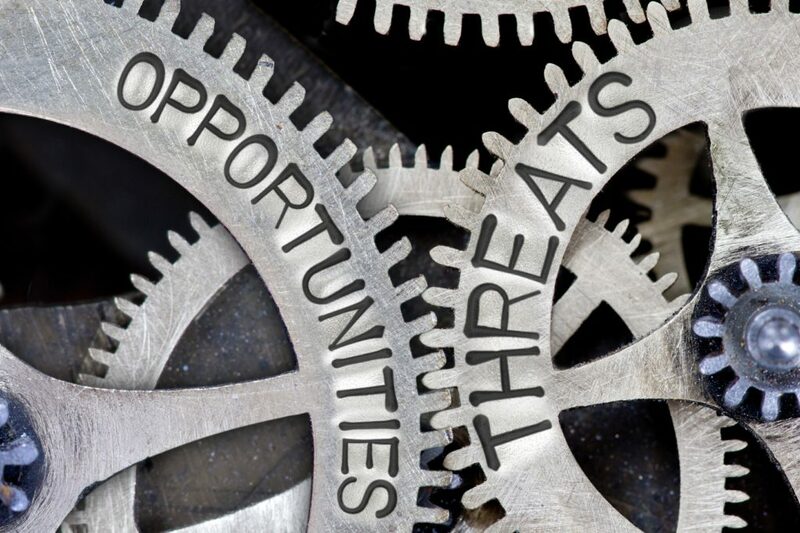 One aspect of business that should be a major priority for every company is to protect itself from external threats, whether digital or physical. The solution to this is simple: protect your stuff. If your company utilizes tons of data, then it is super important to utilize cyber security to protect from nefarious threats that could expose information for you or your customers. Heck, even if your only digital asset is a company website, you should work to ensure that it is properly protected. At the same time, you need to make sure that your physical assets, such as your business’ location, or worksites that your business is using, are also secure by setting up security systems that protect your employees and your company’s valuables (you may also want to utilize security personnel, who can protect a wide variety of assets, as shown here). This is a rather broad category, but a business’ image is the crux of how they will interact with consumers. Having this image become tainted is a huge existential threat that could cut a business off from consumers and, thus, its main stream of revenue. There are two major aspects of your business’ image. The first is your company’s public image, which is handled by PR and marketing. The second, though, is your business’ actual location. If your location is dirty or in disarray, it will lessen the image of your business and push away customers. For this reason, always strive to have a highly presentable business location. Also, absolutely never allow your location to become filthy, such as from poor work conditions, or even infested with pests (find a company like this one, if that ever happens). Problems that arise with your company’s supply chain can put a serious dent in the overall revenue that the business is able to generate. As a company grows, it will need to find ways to manage a supply chain that grows with it, or else deal with transportation problems and inventory shortages. This can put a business on ice, if they are not careful. Many times, if businesses who grow quicker than their supply chain capabilities are able to adapt to, they will experience a major bottleneck that will deal a serious blow to their company’s image and income (this is a serious issue for service companies, as explained in this article here). A business is made up of people, at its heart. Having the right personnel at the right positions inside of a business can make the difference between mediocrity and success. However, one issue that can plague a company and generate nothing but failure is extreme turnover. No matter how excellent of employees a company has, unmanageable turnover cycles will put a business in a perpetual transition state. This can be highly expensive, due to training and other costs. On top of that, you will never get the efficiency or innovation that you need from your employees to truly grow. As a small business grows to the point where it becomes more of a midsize business, the data management that is required by the company will begin to increase to levels that will necessitate a new system. Data management problems can result in issues with customer information, and can make it difficult for your business to gain insights that may be necessary to make important decisions. 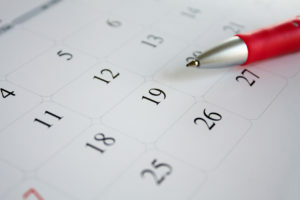 January is a time when many people are working on their New Year’s resolutions. Some of the resolutions we make are rather simple, but the majority of them require a serious change in our habits. A resolution to exercise, for example, will require you to make time in your daily routine for a workout at the gym. A resolution to eat better, meanwhile, will require you to change the way you’re used to grocery shopping, planning meals, and cooking meals. Successful resolution keeping, then, calls for a change in habits. But how do you really dig deep and change your habits so that you can achieve your goals for good? Here are some essential tips for changing your habits so that you can truly keep your New Year’s resolutions this year. Identify your habit’s root cause. What habit, exactly, are you trying to break? Overeating? Compulsive online shopping? Skipping your daily gym workout? Try to determine the root cause of a bad habit before you try to break it. If your resolution for the new year is to lose weight, for example, try to pinpoint what has kept you from losing weight in the past. If it’s a habit of overeating, think about what triggers your overeating in the first place. Is it stress? Boredom? A medical condition that needs to be addressed? After you pinpoint what is fueling a bad habit and address it, it will become much easier to turn the habit on its head. You’ve probably heard it said that if you commit to doing something for three weeks, it will thereafter be a habit. This idea comes from a 1960 book called Psycho-Cybernetics by Maxwell Maltz, a plastic surgeon who noticed that patients took an average of three weeks to grow accustomed to their new features. 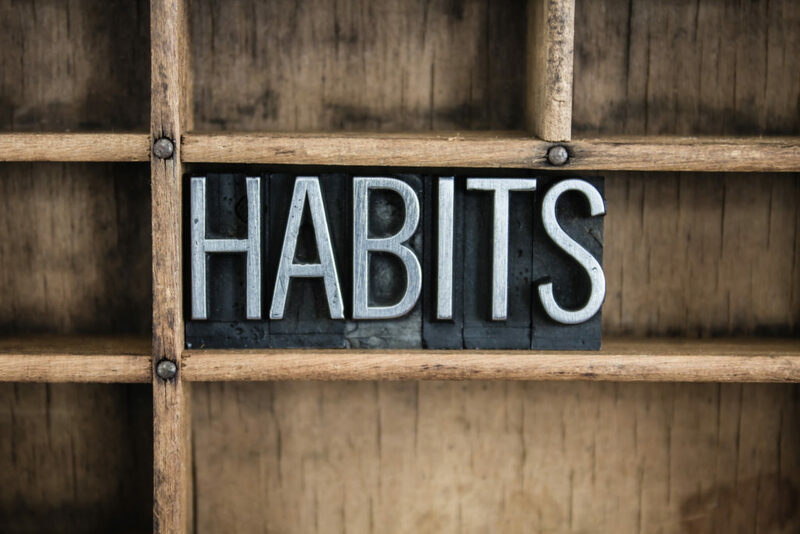 A 2009 study conducted in the U.K., however, found that people actually take an average of 66 days for their new habits to “solidify.” So if you aim to develop a new habit and feel that you aren’t quite there in three weeks, take heart—you just need to give it another month or so. On the plus side, maintaining your new habit will become easier the longer you work at keeping it. Many people approach changing a life habit with the mindset that they have to have this huge amount of willpower in order to make it happen. But if you think about it, developing a new habit is more about diligence and consistency than it is about willpower. Really, a new habit comes from making the same daily decision over and over again. You only ever need enough willpower to get through that decision each day. It’s incredible, the difference that changing your environment can make. As this article points out, sometimes relocating to an entirely new place is the best way to bring about a major change in your life. Relocating affords you the opportunity to create an entirely new routine from scratch. It’s not always practical to move, of course, but if it makes sense for you to do so in your particular situation, it might be worth considering if you’re setting major goals for yourself this year. Keeping a journal is a great way to make changing your habits more tangible. 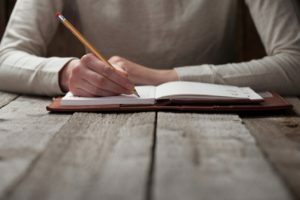 The simple act of writing your goal down can help keep you focused on your goals while giving you something to look back on weeks and months down the road. Go back and read your goals and progress as often as you need to in order to stay motivated. Talking to someone about wanting to change your habits is another way to strengthen your efforts. Tell someone about the habits you want to change so that they can help hold you accountable. 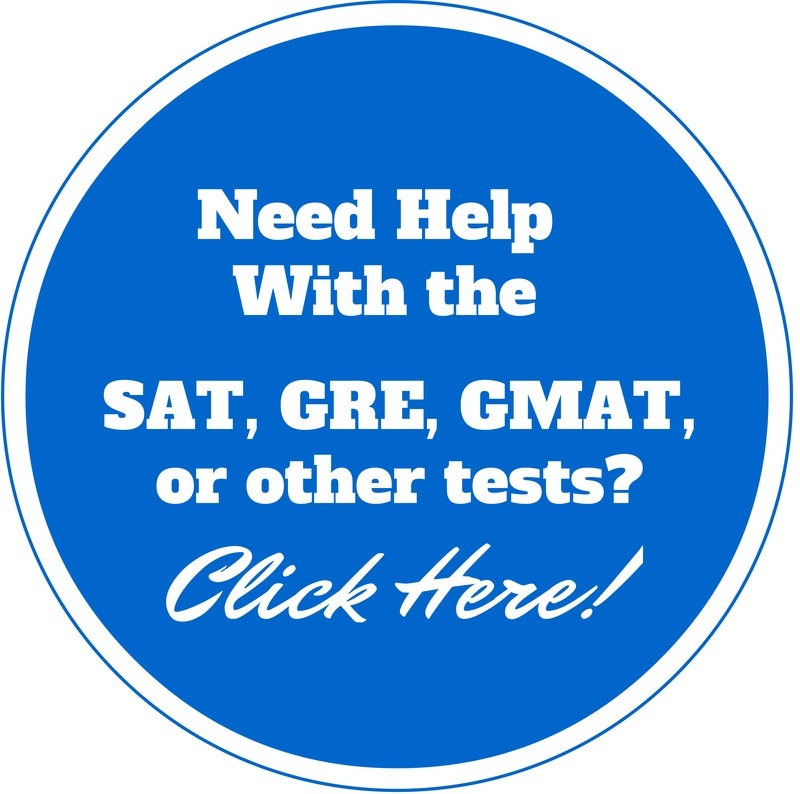 Ask them to check in with you on your progress if you think that will help you. Or, if you know someone who has similar habits to your own that they would like to change, ask them to join you in your goals.